You can usually find lower calorie options on the menu of your favorite restaurant. 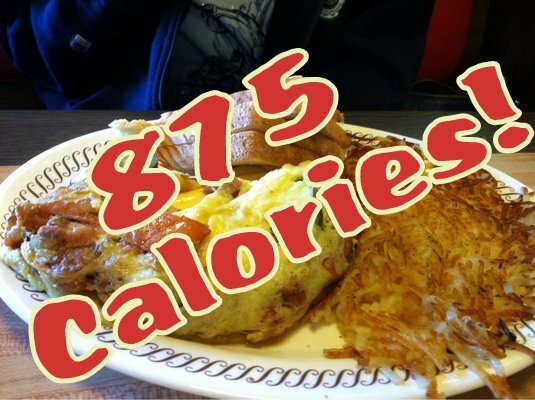 Here is one of our favorite low-calorie dishes to order at Waffle House. No wonder people say they don’t eat much, but can’t seem to lose weight! 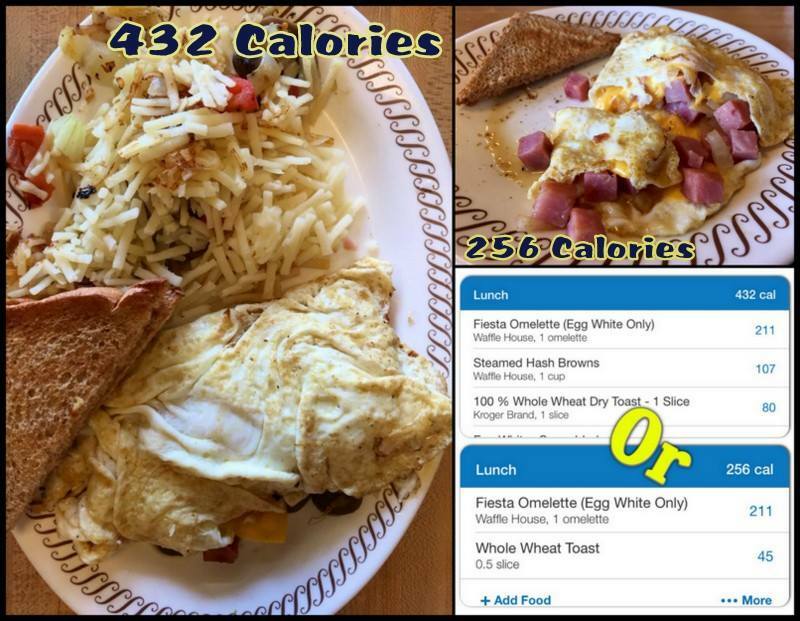 Categories: Healthy Food | Tags: counting calories, fiesta omelette, waffle house | Permalink. Can you lose weight if you run? YES! See, there’s a difference! I had the ability, but not necessarily the permission. WILL you lose weight if you run? That is totally up to YOU! Are you eating more calories than you are burning? Let’s say that you run/walk 2 miles…then you have burned approximately 200 calories. Then you go to Subway and eat 2 oatmeal cookies (You’ve got oatmeal…you’ve got raisins…healthy right? 😉 ) Each cookie = 200 calories. So you have just eaten 200 MORE calories than all your hard work running had burned. Like anything in life….the plan works if you work the plan. AND TRUST ME! We have tried most all of the diet plans out there! 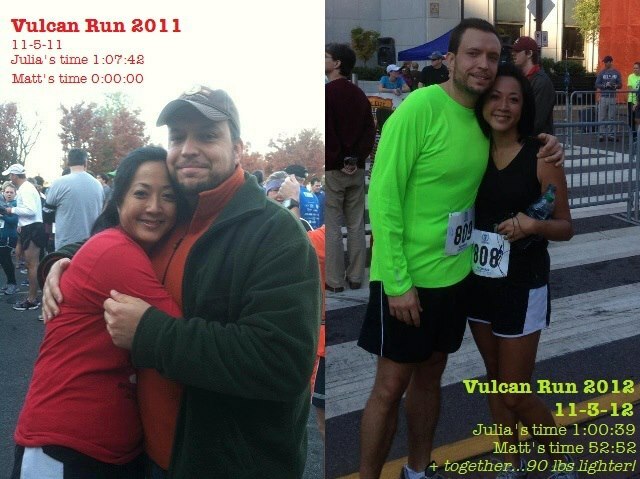 MyFitnessPal has been invaluable to us! It’s a free app for your phone that helps you keep track of your daily caloric intake. When you start counting calories, you will be shocked at how many calories you consume each day! To me, it’s not about clothes size…it’s about being healthy. What’s your plan? What’s working for you? Categories: running | Tags: 10k, 5k, C25k, Calorie, couch to 5k, counting calories, healthy-living, MyFitnessPal, run, running, weight loss | Permalink.